IRELAND • "An access app must be easy to use and it should provide relevant information," said Mr Matt McCann, chief executive and founder of Access Earth, an Irish-made app. "The app needs to keep pace with innovation. Technology has opened so many doors by improving accessibility and we want to be at the forefront of that." For wheelchair users and others living with a disability, map-based apps for access - to restaurants, bathrooms, parking, public buildings and services - seem like an obvious solution to navigating new places. So why does it feel like apps are lagging behind? I'm in a wheelchair for life, but for one day only, I am acting as a tourist in my own town - to see if technology and crowd-sourced information can make my day easier. My plan is to get from my front door to Dublin's city centre, stopping for coffee somewhere along the way, and using four online services as my guides: the Danish-made WheelMate app; the German-made WheelMap; the Access Earth app and the Irish website Mobility Mojo. All of them are map-based and review-generated. When I log into Access Earth, it tells me that my nearest location is a convenience store that has been closed for the last 10 years, immediately making me doubt its reliability. I wander through the inner Dublin suburbs, about 2km from the city centre, and the majority of shops and restaurants are marked on the map, but none reviewed. I move on to WheelMap. Here, everything is clearly marked on the map, from sports grounds to supermarkets, bars to barbers, but when I click in, there are no reviews. Its mapping software is more precise but it just doesn't have the information to back it up. 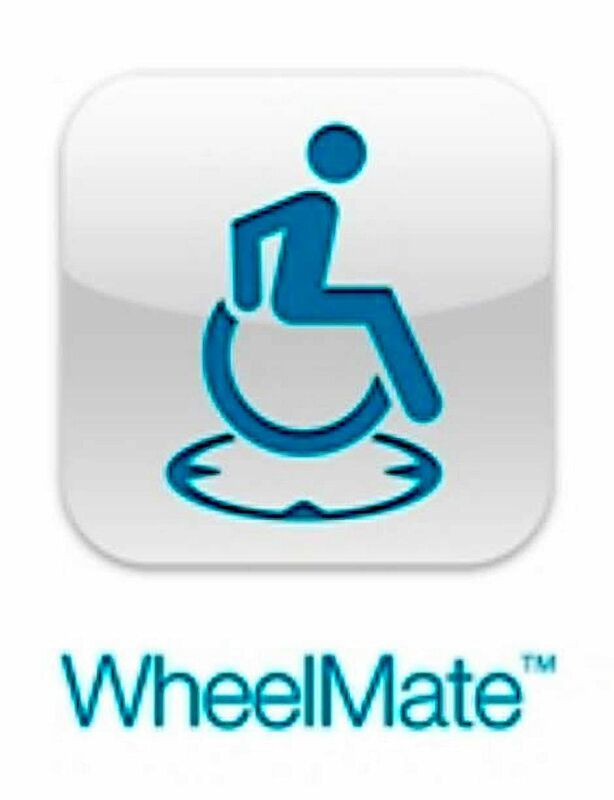 Number of marked disabled parking bays, accessible toilets and reviewed businesses the app WheelMate pulled up for all of County Dublin, an area of more than 900 sq km and 1.3 million people. Another app, Access Earth, had most shops and restaurants in the inner Dublin suburbs, 2km from the city centre, marked but none reviewed. WheelMap was clearly marked, but there were no reviews. I test out WheelMate, an app that lets wheelchair users around the world locate wheelchair-accessible toilets and parking spaces, but they include the occasional business that has been reviewed by users. In all of County Dublin, an area of more than 900 sq km and 1.3 million people, WheelMate has just 16 marked disabled parking bays, accessible toilets and reviewed businesses. I try a different tactic with Mobility Mojo. I search for carparks near Trinity College Dublin - the university in the city centre and a key tourist location - and the first three parking options are in Malahide, a 33-minute drive away. I never get my coffee in the end. Ireland's Census of Population 2016 shows that the country's population stood at 4,761,865 in April 2016, and 13.5 per cent have some form of disability. In Europe alone, over 50 million people live with a disability and, according to the European Network for Accessible Tourism, 130 million people would benefit from accessible tourism. I ask Ms Janice Valentine, founder of Hack Access Dublin, an annual event organised by a group of tech and design experts to foster inclusion and accessibility in the city, what developers need to do to make this kind of tech useful for locals and tourists. "It requires lots of multidisciplinary collaboration, and this requires different groups talking to one another," she said. "Any competition or overlapping with other start-ups should either be viewed as a partnership opportunity or a reason to pivot to another aspect of the challenge." The format of these apps could change the lives of the disabled, but by depending on user reviews to function, the apps I reviewed lack enough content to be reliable. For this wheelchair user, it seems clear that existing developers need to collaborate rather than compete with one another. Our smartphones can give us the answers to almost everything but, with access apps, the answers can't come from the users alone.